Today’s APE Featured Finalist, Zehra Fazal, joins us to discuss her audition for APE: Author, Publisher, Entrepreneur, as well her acting and audiobook career. After reading her interview you can listen to Zehra’s samples on her ACX profile and invite her to audition for your next title! How did you prepare for your audition for APE? I read the audition script through once for understanding, and looked up pronunciations/definitions for any terms I was unclear on. Then, I fired up the mic and went at it. My goal for handling “how to” material is to keep the read conversational, warm and friendly. At what genres or vocal styles do you excel? I excel in genres that feature a young female protagonist -adventure, sci-fi, mystery with a bit of romance thrown in. I work in animation, so my voice definitely lends itself to young adult/children’s titles which have broader characterizations. In the world of non-fiction, I find myself getting hired for a lot of spiritual, inspirational and self-improvement books. I’ve been in the audiobook industry for about nine months now. I’ve been working professionally as an actor for stage/film for the past 12 years. I moved to LA a little over a year ago to pursue opportunities in television and voiceover. As I built up my voiceover work in commercials and radio, I was encouraged by several colleagues to explore audiobooks, and signed up with ACX. I love it – it’s a great combination of my love of reading and acting – nothing keeps your skills honed (and your vocal stamina up) like an audiobook. I fortunately discovered that I’m very adept at performing long passages of text without flubbing – an editor’s dream! How do you produce audiobooks? I work in conjunction with North Hollywood Sound, a leading audiobook production studio in Los Angeles. We take pride in delivering books that are great from both an acting and technical standpoint. I had such a fun time with the first book I did for ACX: The Typhoon Lover by Sujata Massey. This mystery/thriller is set in America and Japan, with a snarky female narrator and a large cast of international characters. I’m fluent in Japanese, so it was a really wonderful opportunity for me to showcase my language skills, as well as work on a range of accents and characters. 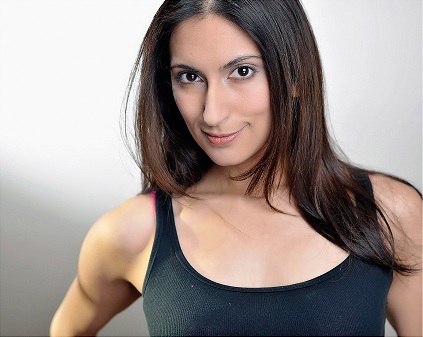 If you’d like to invite Zehra to audition for your next title, check out her ACX profile here. Check back tomorrow for another Featured Finalist! This entry was posted in Uncategorized and tagged actor, ACX, APE, audiobook, audiobook casting, audiobook creation, Audiobook Creation Exchange, audiobook narration, audiobook narrator, audiobook production, auditions, author, David Wilson, featured finalist, narrator, producer, success story, Zehra Fazal. Bookmark the permalink.